Hi everyone! 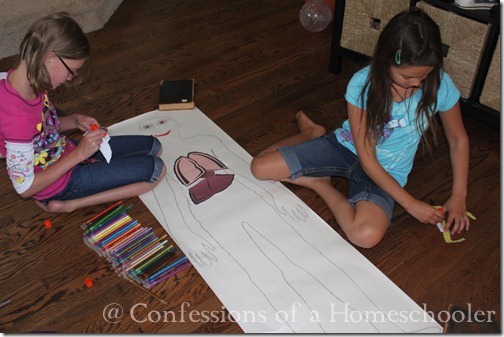 I’m gearing up for science this year and have a fun printable to share with you today! 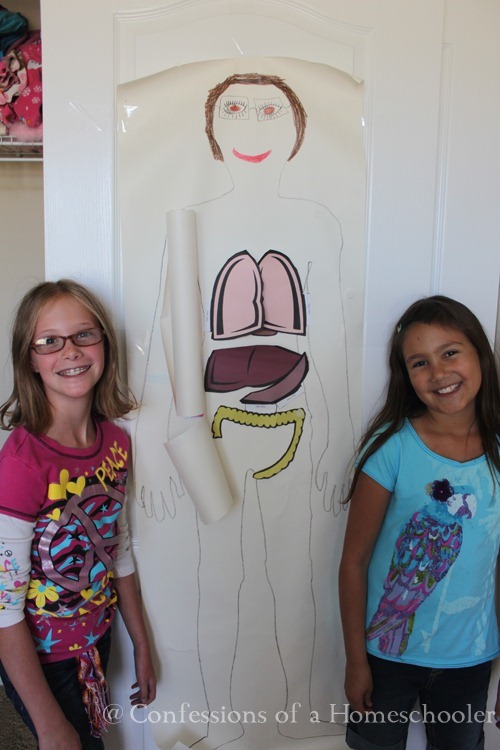 It’s a Human Body Anatomy Puzzle and life size organs! 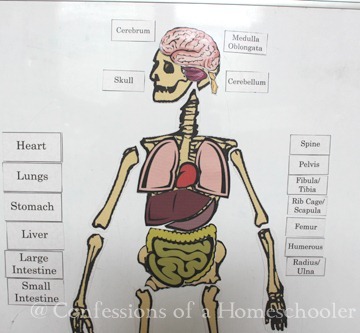 We’re going to work on the Human Body a little bit this year, so I created a human body skeleton and organs puzzle along with some life size organs that you can use with a simple outline tracing of your students body! Here is a sample of the puzzle, I used a Xyron 900 9″ Creative Station with the Magnetic/Laminate insert to make my puzzle magnetic. But you can also just simply laminate for durability. 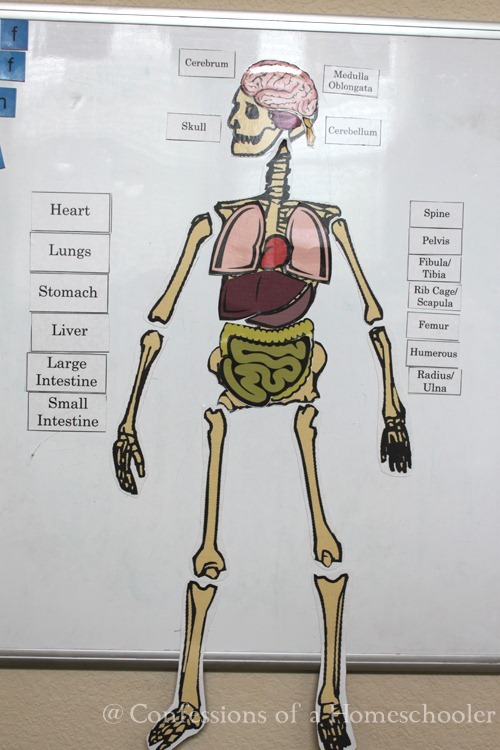 The puzzle is about 2 feet tall, and includes the skeleton pieces, all of the major organs, and word labels. Here is a closer view of the puzzle so you can see the labels, and pieces. 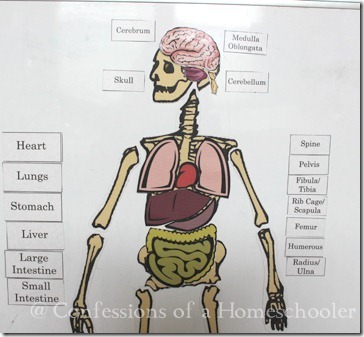 There is also teacher’s manual for this part that includes the body organ functions along with a guide for proper organ placement. 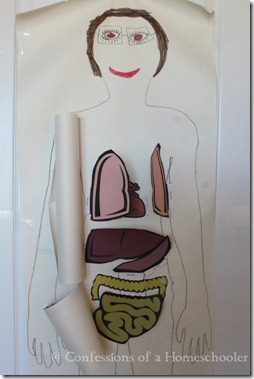 For fun I also created printable color and black and white organ printables. 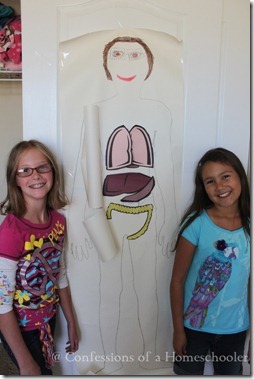 Use a piece of butcher paper to trace your student, then have them put the organ pieces on their body outline. 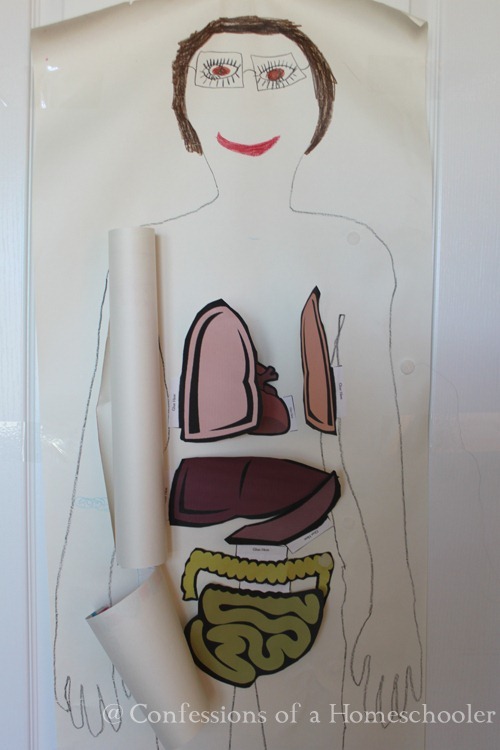 The pieces have flaps on them, so you can glue them on, then flip them up to reveal what the major function of that organ is. 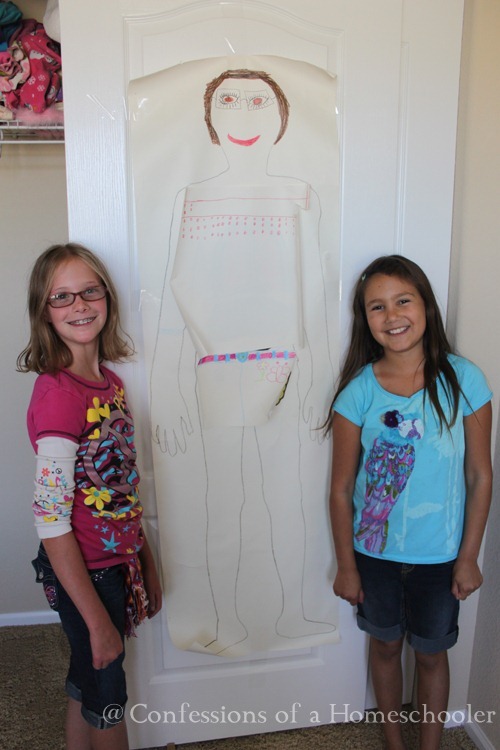 Here is our finished girl, and the proud designers. They even went so far as to make a shirt and shorts for her. There is a brain printable for the model, but the girls though it messed up her face, so they refused to add it! 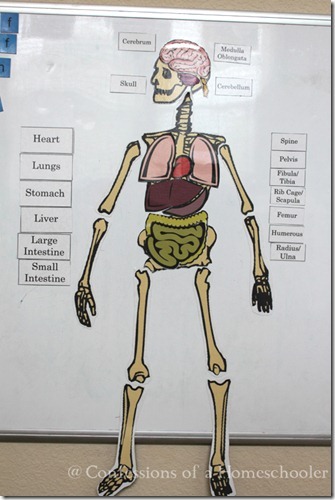 I hope you enjoy using the Human Body Anatomy Puzzle to help teach your students all about the human body! Oh my GOSH! This is fantastic! Thank you for sharing!! This looks fantastic! The links do not seem to be working for me though – I can’t download the printables. Is anyone else having problems or is it just my computer? If it won’t open, try to RIGHT click on the download link, then select “SAVE LINK AS”, you’ll then be prompted to save it to your computer. Then you can open and print! Let me know..
Wow! Another amazing resource – thank you! thank you for this!! can you tell me what type of printer you use? i’m looking to replace ours and figured that your’s must be a good one for all the printing you do. thanks for your time! I love our epson workforce all in one! It’s the 845. If you get it on sale it’s a steal and it is a real workhorse. I guess that’s what they mean by workforce. ? Thanks, I have been looking for a human body printable for a while.